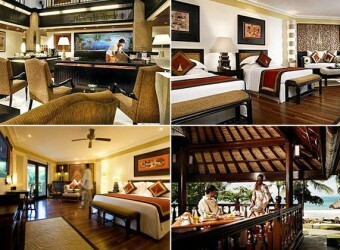 Hotel There is Balinese palace design building surrounded by lagoon, pool and restaurant. Th really broad guest rooms hace private balcony or terrace. They hace facilities of 9 restaurants, bar, spa, etc. It is recommended to stay in the gorgeous room "Club InterContinental" to spend great relaxing time.